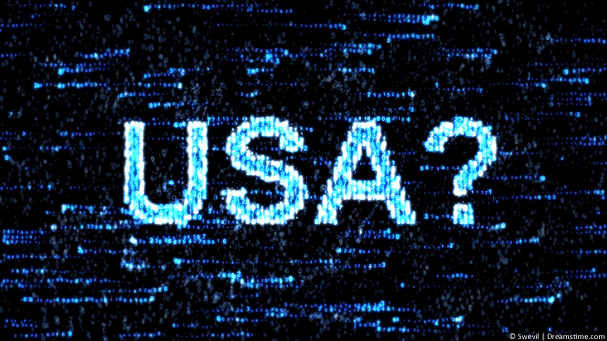 Check out our Best VPN for USA guide updated for 2019. You may be led to believe that VPN services for the USA are all the same, they all get you connected to a server and protect your privacy. Or so you would think. Unfortunately the reality is much different and whilst US VPN services all cost roughly the same, the quality of their services can vary vastly. From the server choices, encryption standards and most importantly speed of service, the reality is, US VPN services are alike in name only. Without question our favourite US VPN service at the moment is IPVanish quite simply because of the available options and the quality of the service. After countless nights of connecting, testing speeds and carrying out more general internet tasks than we would care to remember we found this group of VPN services to be the best for use in the US. The hugely popular IPVanish is one of the most recommended VPN services around and it’s not hard to see why. It’s both great for home use to protect your privacy and when out and about to protect you when using public Wi-Fi connections. Speeds on the service are higher than average compared to the competition and with 17 locations across the US alone available to connect to they’re one of the best for use in America. We really liked their wide range of apps which are available for Android, iOS, Windows, Mac and FireTV. The service simply works and works well with no fuss. ExpressVPN is one of the more popular VPN providers and with servers in over 90 countries it’s easy to see why they’ve got so many subscribers. US users are more than well catered for with server locations in 18 cities and regions across the country and with servers in most neighbouring countries there is plenty of choices when it comes to connection. The app selection on the service is almost unbeaten with all the most popular devices plus the Amazon Fire TV, Routers and Linux being supported. We haven’t found another provider with such device support. The 30-day money back will also give you peace of mind allowing you to test the service risk free. If you’re unhappy with it, simply get a refund. 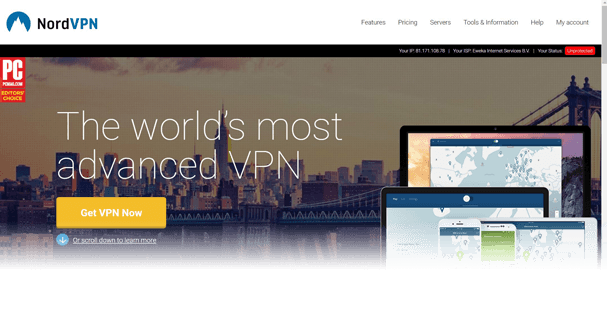 NordVPN burst onto the scene a few years back and is one of the most popular services right now. Trusted by many users it’s not hard to see why they’re so popular – in fact as well as good user reports, they’re actually one of our highest rated providers. The service offers a good selection of servers not just in the US but across the world. If you want to connect locally there are over 1000 servers across the US alone. They don’t just stack up on server numbers either, these have been carefully selected and crafted for different purposes. Want to torrent? there’s a server for it, want to protect yourself from DDoS? there’s a server for that too and a lot more to boot. On top of that there’s a generous 30-day money back guarantee, apps for the most popular devices and they’re registered outside the US in Panama for your privacy protection. Private Internet Access aka PIA needs no introduction as it’s one of the biggest VPN services in the world with an estimated 1 – 2 million subscribers. Their privacy protection is proven and there has been more than one occasion where this has been put to the test via the US courts. If you want to ensure your privacy is protected and no logs of what you get up to then they definitely make a good choice. Although they’re lacking a little in comparison to others when it comes to worldwide VPN locations, the US itself is well covered and with over 3000 servers in total, they’re one of the biggest VPN services by numbers. We really like the cheap prices of the service and their ethos on privacy protection. Although PIA offers advanced encryption they don’t rest on this fact and they’ve proven time and time and again to protect the privacy of their users even in the face of adversity. The owner of CyberGhost VPN has a tattoo of the word “Privacy” on his arm, if that doesn’t tell you all you need to know about this Romanian registered VPN service, we don’t know what will. This beginner-friendly VPN service makes getting connected quickly and easily it’s number one priority. They don’t just have beautifully designed apps but they also help you get connected to the server most suitable for your usage. There are some 200+ VPN servers across the US in more than 20 cities making CyberGhost VPN one of the biggest in terms of US coverage. With the owner of CyberGhost VPN being a firm believer in online privacy you can rest assured they’ve got your best interests at heart. No matter what your budget, there is a VPN service for you. Prices can range from the slightly expensive to the ultra-cheap. It’s worth remembering that the quality of service can vary greatly and this often isn’t dictated by the price. However, stretching to paying a few dollars more per month will more times than not get you a bit more usually in terms of servers or server locations. It’s always a good idea to consider a VPN service that has a money back guarantee like our five recommendations above because it will allow you to test the service in the USA without risk. If you find it isn’t suitable for you or you just aren’t getting the speeds you envisage then you can simply get your money back and try another provider. Finally, consider avoiding VPN services that are free or that make wild claims that they can make you 100% anonymous. Free services just aren’t worth bothering with because they don’t do the job they’re intended to do and no VPN service can keep you 100% anonymous. Finding a VPN service that works in the US isn’t hard. In fact nearly every commercial VPN service has US based VPN servers. This can make choosing a service incredibly difficult. Unfortunately not all VPN services are made equally and while they may cost the same, the services can vary massively. We’ve done the hard work for you to save you both time and money. Our favourite VPN service for the US is definitely IPVanish but the four other providers we recommended here also work well. All that’s left for you to do is choose one and sign-up and if you still really can’t make your mind up, go with IPVanish, you won’t be disappointed and if you are, you have 7 days to get your money back question free.